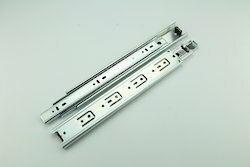 Manufacturer of a wide range of products which include friction stay, window friction hinge, two way spider without fin, hydraulic clip on soft closing hinge, telescopic channel ms and telescopic channel - ball bearing slides. Ours is an illustrious business, engaged in manufacturing, importing, trading, exporting and supplying a wide range of Friction Stay (Friction Hinge). Our offered shower hinge is designed under the observation of experts with huge practiced in this domain. The shower hinge is perfectly designed from finest material and latest technologies. Ours is an illustrious business, engaged in manufacturing, importing, trading, exporting and supplying a wide range of Friction Hinge. 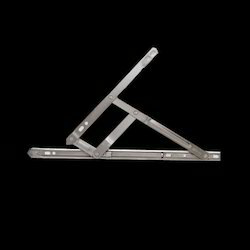 Our offered shower hinge is designed under the observation of experts with huge practiced in this domain. The shower hinge is perfectly designed from finest material and latest technologies. 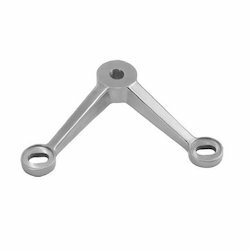 We are engaged in manufacturing, importing, trading, exporting and supplying Two Way spider . Our offered articulated routel is designed under the observation of experts with huge practiced in this domain. We are dealing into soft closing hydraulic hinge. M.S Telescopic Channel offered can be made available in different construction finish sizes and provide for reliable functional support. Our Firm is specialised in proving a vast variety of Ball Bearing Slides. Being a client-centric business, we are engaged in manufacturing, importing, trading, exporting and supplying Telescopic Channel (3 Ball Bearing Slides). Our offered telescopic channels are precisely designed by using the finest steel and latest machines under the observation of trained professionals. These telescopic channels are thoroughly examined on numerous parameters for supply flawless range from our side. Further, clients can avail this telescopic channel from us at nominal prices. Telescopic Sliding Channel offered can be made available in different construction finish sizes and provide for reliable functional support. 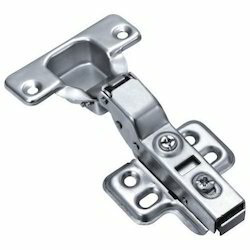 Client is leading supplier inAuto Hinges.